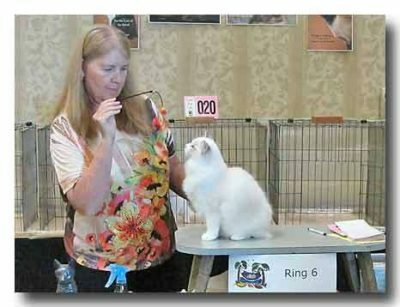 Show results for cats and kittens shown by Denise Saunders of the award winning cattery RegencyRags located in Galveston County and serving all of Texas, including Houston, San Antonio, Austin, Dallas and the Beaumont area. 1st day: 5th all breed kitten, BIS nom = in semi long hair kitten category: Best in Show!!! 2nd day: 2nd all breed kitten, BIS nom = in semi-long hair category: Best In Show!!! I’m so proud of these wonderful show results for RegencyRags Gaspard of Ragville. He’s a Blue Lynx Pt. Bicolor Male out of our International Winner Bruno and the lovely Julia of Adorabldolls.The combination of those two cats is unbelieveable. Amarillo, TX. August 19-20, 2012. 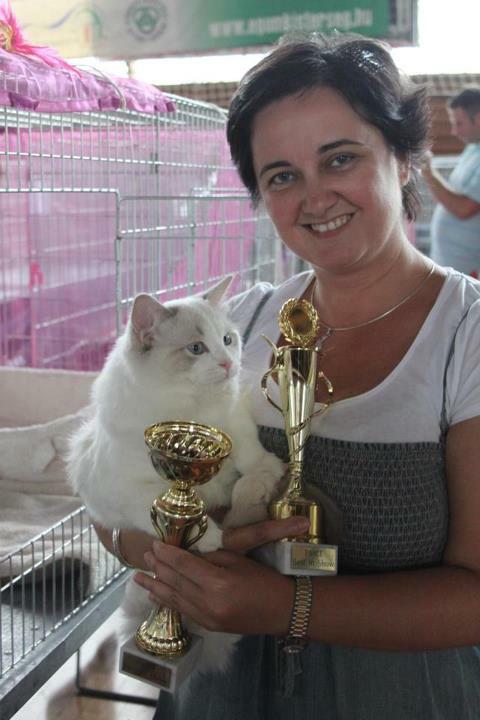 HIROSHI WAS BEST OF BREED RAGDOLL KITTEN IN SHOW! A new club in a new venue in Amarillo, TX. It had been 19 years since I drove through Amarillo on my way to New York City. I can’t say that it’s changed much; although I enjoyed myself a bit more this time because of the cat show. Hiroshi did a great job wooing the judges and we came home with some great wins. I took a video of Hiroshi receiving his Best Kitten in Vickie Fisher’s ring, but not I have to figure out how to get it off my phone and onto my website. I promise it’s coming soon. Corpus Christi, TX. August 3-5, 2012. Another great show for Eve and Hiroshi. This was a three day show and our South Central regional banquet. I got very little sleep and ran nearly completely on enthusiasim alone. I’ve been having a lot of fun showing Hiroshi. 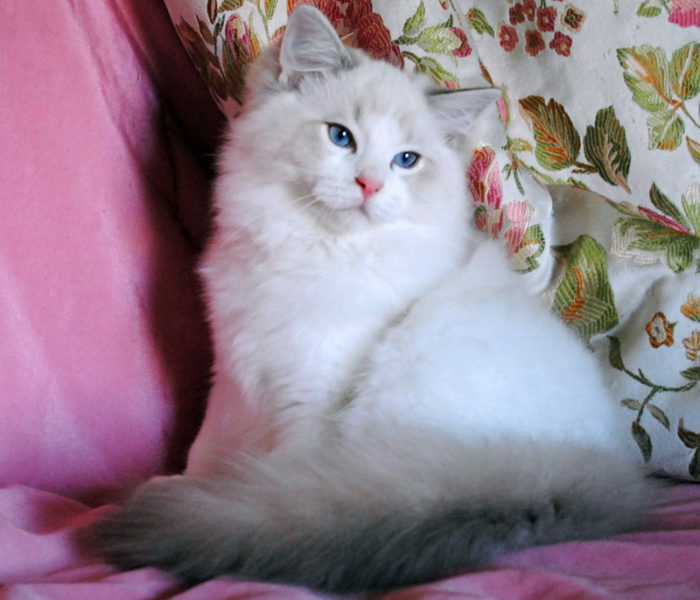 He’s such a beautiful kitten and he’s doing fantastic at the shows. I’m so proud of Bruno and Julia for this baby boy. I like Eve as well. There are just a few things I’d change about her — like her coat. being judged in Karen Stinson’s Ring. It’s a really good picture of his muzzle! 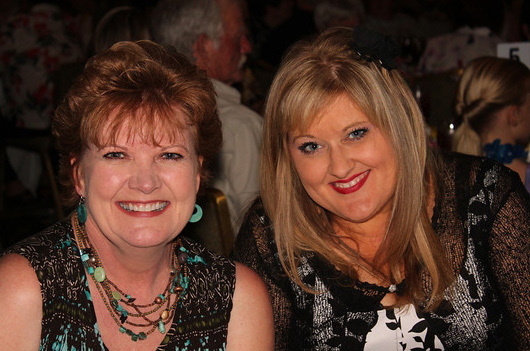 I love it when Dr. Koestler takes pictures at the shows! 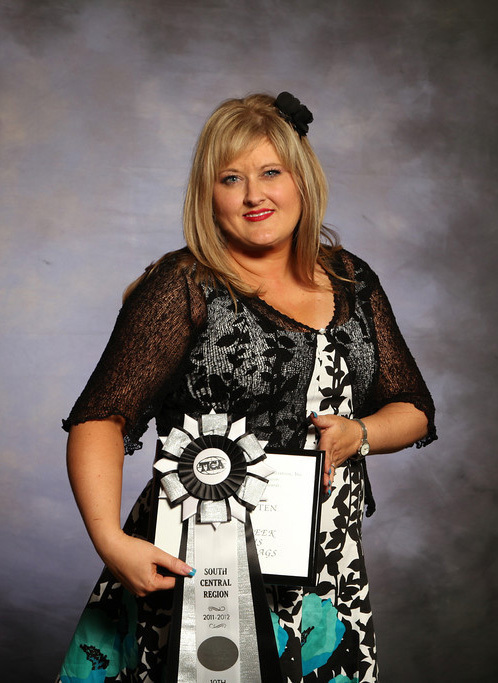 Me with Minerva’s SC 10th Best Kitten Award! Special thanks to Randy Kinnet of Crush Studios for my wonderful haircut and color. Having a rock star do my hair really is the way to go! 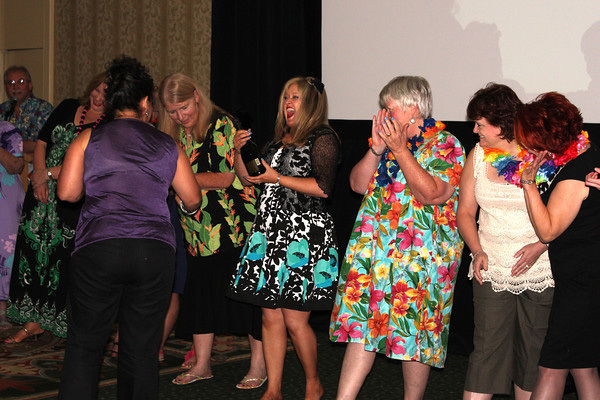 Me winning the Best Beach Theme Pedicure at the SC Regional Awards. I won a bottle of 2003 Dom Perignon that I’ll toast to my next International Winner. my original nail idea into an award winning design! Temple, TX. July 14, 2012. A wonderful show in a great new location and show hall where the air conditioning actually worked! I had so much fun catching up with friends and debuting my new kitten, RegencyRags Lucky Hiroshi of Catruru. Hiroshi is a blue lynx pt. male out of Bruno and Julia. He’ll be staying with us while he passes quarantine time. During this span I’ll be taking him to some shows. I’m so excited to see how he’ll do! So far, at the baby age of 4 months 3 days old, he debuted as the 2nd Best Ragdoll at the show. Gagny, France. June 23, 2012. Oh la la! 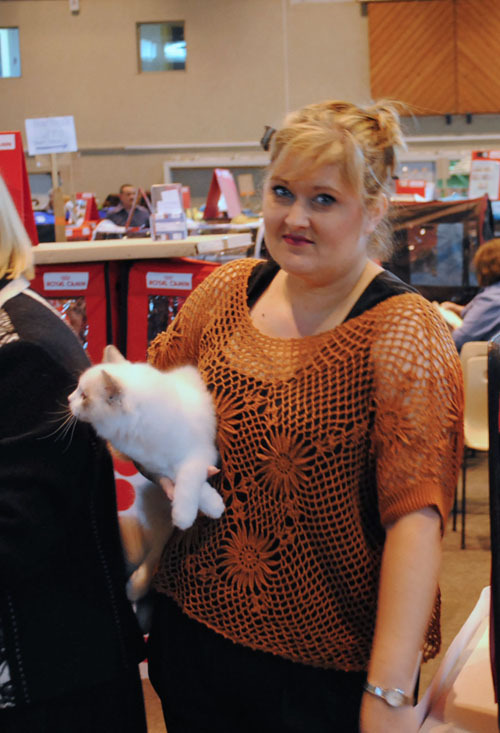 An amazing show and so much fun to meet new Ragdoll breeders. This was Eve’s very first show. I entered her for one day of the show so that I could experience what it is like to show Ragdolls in TICA while in a foreign country. Interesting to say, it is very much the same, yet so different at the same time. I am glad I went for the experience. At only 4 months old my sweet baby girl Eve took home her first final. I’m so pleased because as soon as I arrived at the show I saw that she could be competing against two very nice 7 month old kittens. It is so difficult for the little baby kittens to compete against the older ones, so I thought — okay, I am here for the experience but nothing more. Then a big surprise! 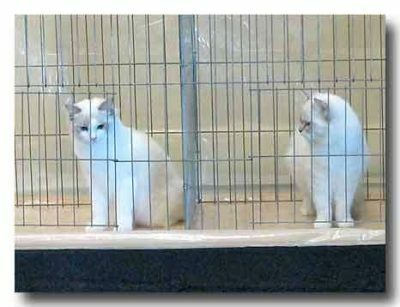 One of the judges brought back three Ragdolls for the final. She is now my favorite judge. 😉 Except for now I cannot remember her name. I will give her credit when I realize her name. Eve on the judges stand at show in Paris. The cages were very small and hard to close.